Find free classifieds for Property for sale for sale or to buy in Karnataka. FREEADS in India offers you a platform to post free advertisements or classifieds for Property for sale, Karnataka. FREEADS in India helps you search, find, buy, sell, rent or hire in various categories like apartments, goods for sale, local services, cars , jobs and many more in Karnataka. Shown below are ads available in Property for sale, Karnataka. You can use search box above to refine your search. Total Area ; 2 acre, 75000/- sq.ft production area (include mezzanine) 250 KVA power / Generator back up. All around 5MTR wide Road, 8' ht. compound , Location: Hosur to Malur NH4 & NHS 7 connection Highway, opposite to Artha Properties , Near by Chirst collegeof science and management , . 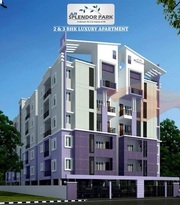 Residential property in North Bangalore spread across 17 acres. Close proximity to International Airport, IT- Business Parks, Malls, Hospitals and Schools. 5 clubhouses. 17 Acres. Ajmera Nucleus- E-City Phase 2 | New launch 2 & 3 BHK Apartment‎ Ajmera Nucleus is an upcoming modern premium residential, spread in 5. Canaans Business Center is located in banashankari 2nd stage very close to BNM IT College & Monotype Bus stop, Canaans is operational from 2011 & served multiple companies with full furnished Office space & Co working Space for Individual and Team of people, Canaans provide enclosed cabins, open workstation, . 25x40 site sale in Bapuji agar Bbmp A" Katha property 25 feet road North Face Bangalore west 90 lakhs slightly negotiation, Contact for more details- 9535387788 / 8970.936/067. Ajmera nucleus - New projects 1bhk, 2bhk and 3bhk residential & Commercial projects Ajmera nucleus in electronic city phase II Bangalore Ajmera Nucleus home project snapped up a lot of acre land in Bangalore city to construct one bhk, a pair of bhk and three bhk configuration. This project is as well as terrific specification and placement map with considering higher style and vastu shastra. 25x40 site sale in Bapuji nagar Bbmp A" katha property 25 feet road North Face bangalore west 90 lakhs slightly negotiation, Contact for more details- 9535387788 / 8970.936/067. NBR Developer present HNTDA approved villa plots in Hosur for sale. Located Hosur Alasanatham road, NBR meadows HNTDA approved number 90/2018 villa plots gated community. NBR Meadows plots for residential. Details are 35 Acres, 655 Plots, Size-500, 900, 1050, 1200, 1500, 1750, 2400, 4800 (Square feet) For Amenities, Near By, Price and all other details of sites in Hosur Visit https://www. Excellent return on investment, Sites available for sale at Anekal , close to TAAL AIRPORT. 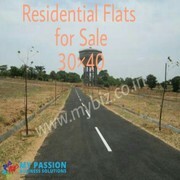 We have both 30*40 and 30*50 sites available for sale at the best price is 8.4 lakhs. We provide loans upto 80% of the property here. It’s E-KHATHA PROPERTY, GRAMATHANA, It’s a total 200 acres project and free 10 years resort membership provides. India ads for Property for sale, Karnataka, Property for sale free ads Karnataka, Property for sale for sale Karnataka, Property for sale to buy in Karnataka. This page is a classified ads listing for Property for sale Karnataka. This listing includes classifieds for sale and to buy in Karnataka. If you posted an advertisement on Property for sale, Karnataka before please use Edit my ads button to change or cancel your ad. Property for sale Karnataka ads Karnataka, Property for sale classifieds Karnataka, Property for sale free ads Karnataka, ads for sale Karnataka, ads to buy Karnataka, FREEADS in India. Find here ads for sale, to buy and rent in Karnataka. Goods for sale in Karnataka, vehicles for sale in Karnataka, Karnataka real estate for sale, Karnataka property for sale, property for rent in Karnataka, business ads in Karnataka, Karnataka business classifieds, services in Karnataka, Karnataka services ads, jobs in Karnataka, pets for sale in Karnataka, Karnataka dating, Karnataka cars for sale.